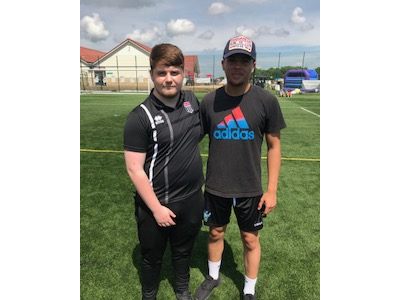 Bath City’s Community Sports Foundation were at Odd Down Sports Ground on June 3rd to support an inclusive mass participation sports event called the ‘Try Games’. The Games were held in support of Three Ways School, with the idea being for people of all abilities to try a variety of inclusive sports and activities. Coaches Mike and Lewis welcomed lots of participants keen to try their hand at football, and ensured everyone was able to take part and enjoy themselves. Well done to the ‘Try Games’ organisers for a fantastic event.